All of Our Labradoodles have been very selectively chosen. They are exclusively Mutli-generation Australian Labradoodles all with heritage back to Australia's original kennels including Rutland Manor and Tegan Park. We are dedicated to breeding to the highest of standards. Brookside Labradoodles have all undergone and passed extensive health testing earning the ALAA Gold Paw award. Rita has passed her training and is a registered ADA service dog. Remarkable Rita! She lives with her family in Elk Grove which includes one of her beautiful puppies from her retirement litter. Brookside Taylored to Fit "Abby"
Our Dear Abby is a dark chocolate dream. She has the most silky soft coat and smart intuitive personality. Her parents were selected to bring together this perfectly tailored girl for Brookside Labradoodles. Abby is a happy member of her very loved guardian family in El Dorado Hills. We are over the moon in love with this girl. One look at her eyes will surely capture your heart. Roya is very calm, sweet and loving. She enjoys going on adventures or just hanging out with her Guardian parents in Sacramento. OFA Hips Good, Elbows normal, vWD clear, EIC clear, CAER clear. Other testing available upon request. She is magical! This girl has it all. She is smart, athletic, and has wonderful solid conformation. To top it off, her color is rich red just like her mom. Ruby lives in Elk Grove with her wonderful guardian family. Her human sisters call her Unicorn because she is so magical. Ruby is a multi-gen Australian Labradoodle. Willow lives in El Dorado Hills and enjoys life with her wonderful forever family. Our Dolly is simply a Doll on 4 legs. She is soft and loving with a bit of play-full added in. We are so thankful for Chad & Kristi at Riverbend Labradoodles for trusting us with this wonderful girl. Dolly lives with her fun guardian family in Folsom. Oh Jack you are such an old sole. Jack lives up to his name in every way, as he is the most gentle loving boy. He is very intuitive and attentive, attributes that have made him a dream boy to train. Jack has a beautiful, extremely solf, wavy fleece coat. We are so excited to have him in our program.Jack is a multi-gen Australian Labradodle. Stud Service - coming soon! Ellie is a stunning Apricot extreme Parti girl. She has piercing black eyes and a black nose. She is a beauty like her mom "Willow" and personality plus like her Dad " Doc". She is very people orientated and loves to please. Ellie lives with her adoring guardain family in West Sacramento. I can't say enough wonderful things about this cuddle bug boy. He is such an easy going guy that loves everyone he meets. He is content to hang out in the house or play outside in the pool with the kids. In addition, he is super smart and easy to train. We are excited to watch him grow and become a papa for future Brookside puppies, as he is exactly what an Australian Labradoodle should be. Trueman lives in Roseville with his wonderful family. We are excited and proud to introduce our own Cody. He is a super playful & funny guy with the most loving gentle personality. Cody lives with his Guardian family that he adores. He often goes to work with his Mom & Dad to their Dental practice in Sacramento. Cody is a multi-gen Australian Labradoodle. Other testing results available upon request. Our Beautiful Brooke is standard size, with a wavy chocolate fleece coat. She has amazing conformation and solid bone structure. 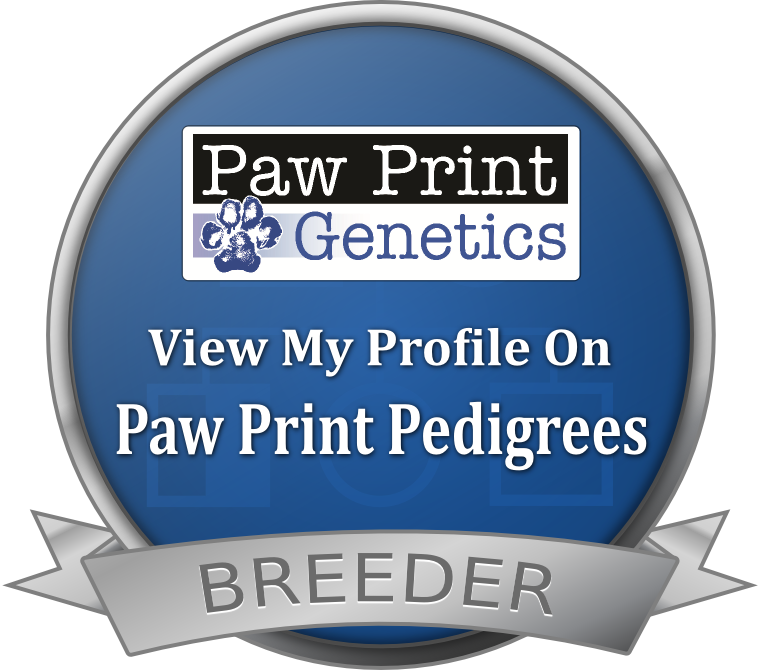 Brook's heritage comes from some of the oldest foundation lines in the Australian Labradoodle breed. She is extremely gentle, loving, and always willing to please. Her easy nature has made it very rewarding to train and have her as my constant companion. Brooke is a multi-gen Australian Labradoodle. Ocean States California Dreamer "Doc"
This wonderful girl comes from the most influential lines in the history of the Australian Labradoodle Breed. She is a beauty inside and out. Along with her gentle nature and exceptional confirmation, we are certain she will contribute much to the continued development of the breed. Millie lives with her loved Guardian family in Folsom. OFA Hips Excellent, Elbows normal, vWD clear, EIC clear, CAER clear.